From the publisher: "The book that started it all! 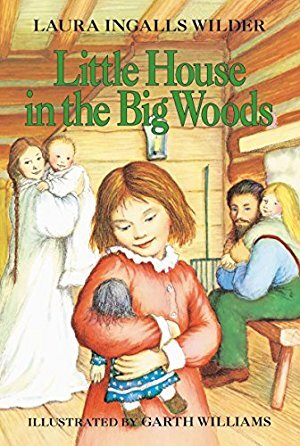 Little House in the Big Woods is the first book in Laura Ingalls Wilder's treasured Little House series, which is based on her life growing up as an American pioneer. Told from four-year-old Laura's point of view, this story begins in 1871 in a little log cabin on the edge of the Big Woods of Wisconsin. Pioneer life is sometimes hard, but it is also exciting as Laura and her family celebrate Christmas with homemade toys and treats, do the spring planting, bring in the harvest, and make their first trip into town. And so begins Laura Ingalls Wilder's beloved story of a pioneer girl and her family. 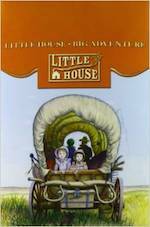 The nine Little House books have been cherished by generations of readers and listeners as both a unique glimpse into America's frontier history and a heartwarming, unforgettable story."